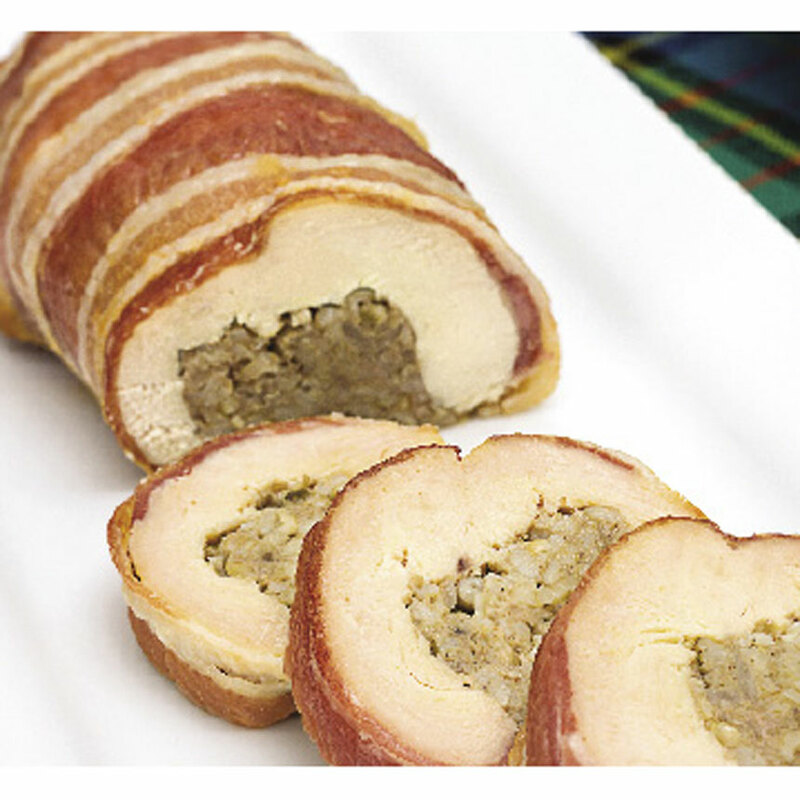 Enjoy this chicken breast wrapped in bacon and stuffed with haggis! 8-10 oz. Here's our latest haggis creation - Balmoral Chicken! Serve this with pride at your next family meal or celebration. We have pounded out chicken breast and rolled it in bacon with an inner filling of our tasty lamb haggis. Fully cooked, just thaw and reheat in a 350 degree oven for 25-30 minutes. Slice in 1/2 inch thick rounds and enjoy. We suggest serving with a side of mashed potatoes and your favorite vegetables. Lovely with our Haggis Sauce. Shipped frozen. 8 to 10 ounces each, each roll of Balmoral Chicken serves two. Ingredients: Chicken Breast, Bacon (Cured with water, salt, sugar, sodium phosphate, sodium erythorbate, sodium nitrate), Haggis(Lamb, oatmeal, water, beef liver, onion, salt, celery salt,white pepper, red hot pepper and spices). 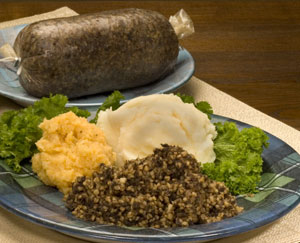 We taught a French sausage maker to make haggis despite months of bureacratic forms and inspections from the USDA to finally approve the making of haggis. And you get the rewards - a crumbly delicious haggis made from American lamb, onions, Scottish oats and Andrew Hamilton's special spice blend. We have now taught his to make this delicious chicken stuffed with haggis! 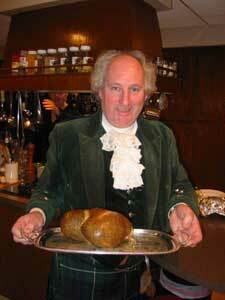 I make wonderful Balmoral Chicken but I don't see the need to reinvent the wheel after tasting your fantastic morsels!